In Japanese kanji, Mizuki Goltz's name symbolizes purity, vitality and fluidity - three elements the designer tries to incorporate into her elegant jewelry. 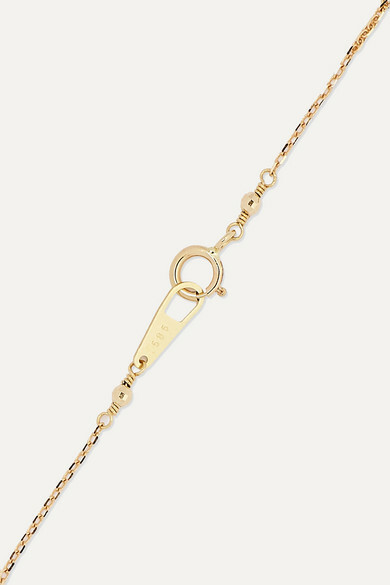 Cast from 14-karat gold, this bracelet is strung with polished pearls that seem to float over the wrist. It will go with everything from cashmere sweaters to cocktail dresses. Shown here with: Jacquemus Top, Mizuki Ring, Mizuki Earrings, Mizuki Necklace, Mizuki Ring, LOW CLASSIC Pants.